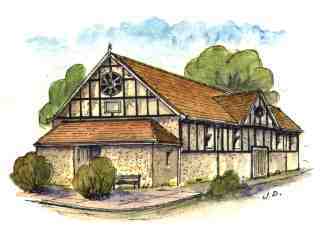 Ashton Keynes Village Hall lies in the centre of the village with good car parking and internal facilities. The village of Ashton Keynes (the first village on the River Thames) is 12 miles north of Swindon and 5 miles south of Cirencester and is situated within the south western corner of the Cotswold Water Park. Room availability may be checked on line. See the menu on the left. Prices and conditions of hire may be obtained in the downloads section. Room availability may be checked online. See the menu on the left. Ashton Keynes, Wiltshire. Ashton Keynes Village Hall dates back to the early 1900's and lies in the centre of the village with good car parking and internal facilities. The village of Ashton Keynes (the first village on the River Thames) is 12 miles north of Swindon and 5 miles south of Cirencester and is situated within the south western corner of the Cotswold Water Park.